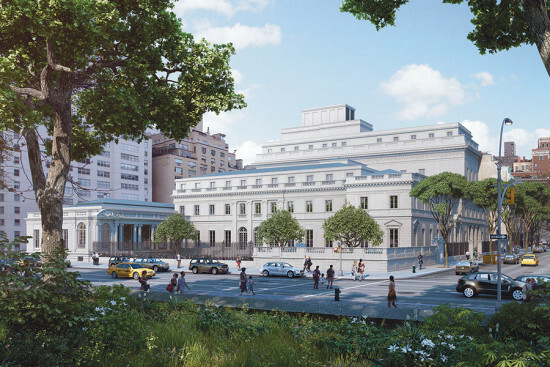 Regarding the article “Frick Fracas,” (AN_14_12.4.2014), while there has been much debate about the Frick’s proposed addition to address its longstanding space needs, much of it rests on mischaracterizations about the history and original purpose of the site where it will be located. The property on which the 70th Street Garden now sits was purchased between 1940 and 1972 to construct an addition. The Frick initially planned to install an interim garden on the site as a placeholder until funds could be raised for the addition. But due to high costs, the museum decided to build a permanent architectural garden instead—not promised, as opponents claim—and a one-story pavilion. Now the Frick’s minimal needs are no longer being met. After studying several plans that would have kept the garden and pavilion intact, the Frick has concluded the site offers the best solution. The Frick has three gardens now and will continue to have three gardens after the addition is built. The 70th Street Garden, while lovely, will be replaced by an outdoor garden atop the new addition that will offer views of Central Park and space for contemplation.